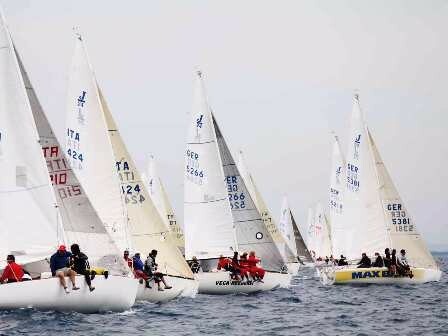 (Porto Santo Stefano) Brazilian Mauricio Santa Cruz with the team of Romolo Emiliani, Paolo Boido, Andrea Boido and Marianne Schoke win the twenty-fourth edition of Pasquavela, one of the historic races in Italian sailing. Thirty-J/24s from all the Italian fleets, Brazil, Germany, Monaco and Hungary were present. 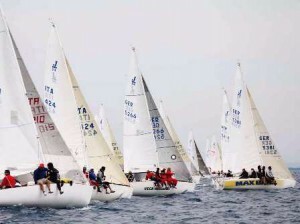 The event, which is the third leg of the 2011 National Circuit for the J/24 Class, included seven races in one of the areas known to be among the best sailing venues on the Tyrrhenian Sea: Thanks to the particular profile of the coast, the shelter offered by the promontory of Argentario and weather conditions, it is possible to race in all periods of the year. Results can be viewed by clicking here.